In case you ever get attacked by a kangaroo make sure to curl up into a ball and wait! According to this infographic, that is exactly what you should do. Just remember, we are not liable for anybody getting hurt due to lack of knowledge. Maybe praying should be included with that one. 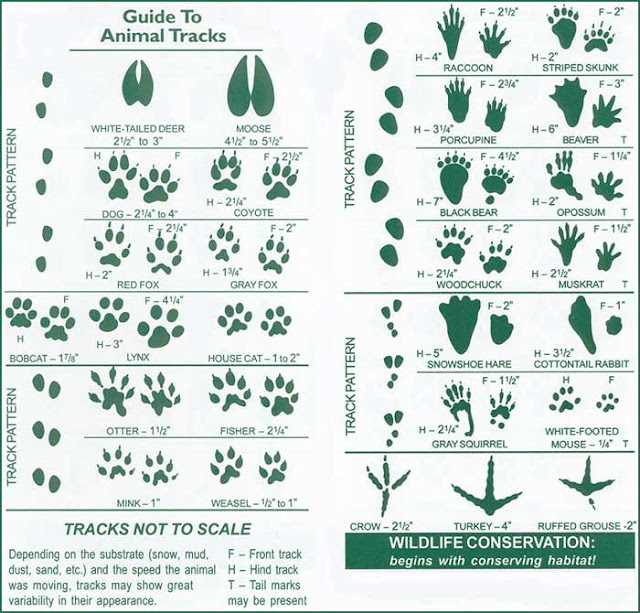 Do your research folks before venturing out into the wild. You know you're a prepper if you carry around an Altoid's tin with no mints. It just means that it is going to be utilized as a mini survival kit. Just like you know you're a prepper if you carry around lighters, but don't smoke! 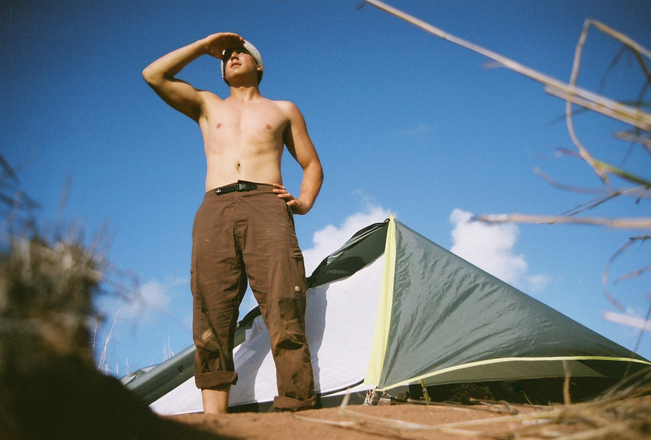 Survivalism has recently become a hot topic of interest due to a variety of global changes. 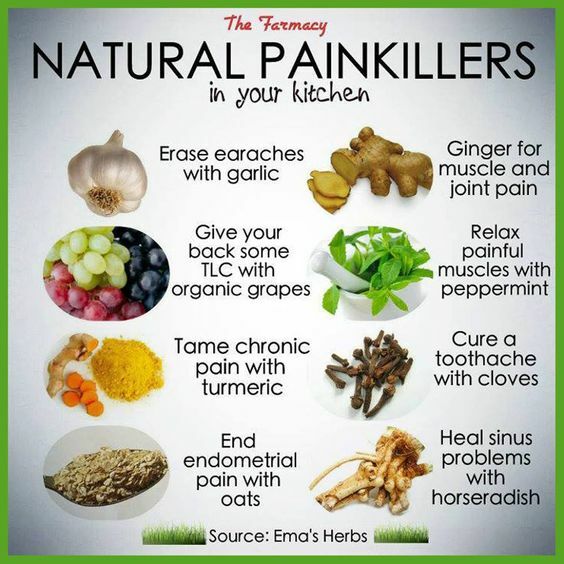 Some of these changes have occurred as a result of natural causes while others have been man-made. Whatever the causes are, the consequences are the same. For example, the issue of global warming has been under a lot of debate. Scientists and politicians have tried to give explanations to why global warming is happening. No matter what the reasons are, we can all agree that humanity should be preparing for global shifts and drastic lifestyle changes. The goal of survivalism is to prepare people for catastrophes and survival situations. The aim is to raise awareness about what is going on to our environment and what we can do to prepare ourselves for the worst. 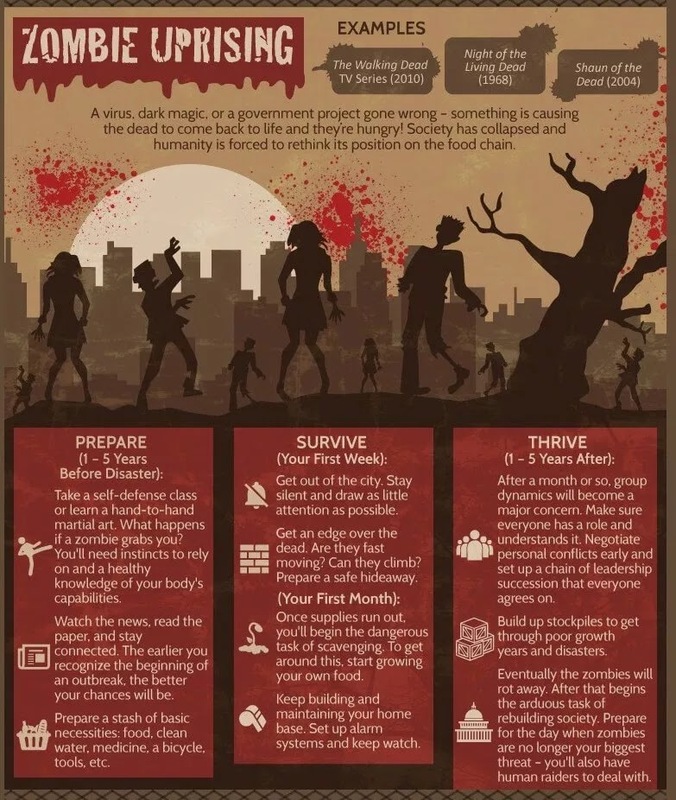 Preppers are people who dedicate a lot of time towards preparing for survival situations. They range from individuals that prep in their spare time to those who fully commit to prepping on a daily basis. Some people have prepared themselves by doing light research and obtaining a survival kit while others actively train themselves and have stockpiled supplies. In addition to gathering food, water and supplies, it is important to remember that knowledge is more useful to you than all of the survival gear in the world. What good is it to have survival gear if you don’t even know how to properly use them? Or what happens after you run out of food and water? 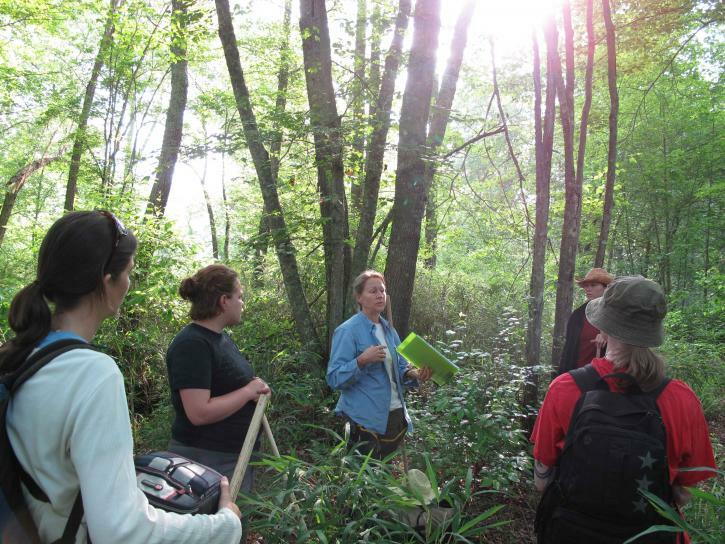 Without the proper knowledge and training, surviving in a survival situation will not be easy. The resources are out there, it is just a matter of taking the initiative of teaching yourself survival skills. There are plenty of books and manuals on how to survive in different situations. The internet is full of information and videos that demonstrate survival skills such as fire starting, purifying water and how to gather food. Practicing what you learn is also essential. It is easy to remember facts from a book but being able to actually put it into practice is what matters. It would also be a good idea to involve your family and friends in practicing survivalism to better the chances of survival. Make sure to share what you know with those that you trust and are serious about working together. It is possible to survive alone, but your chances of surviving increase when you have the help of others. Having a plan of action in any scenario and being surrounded by people that are prepared will highly increase the chances of survival. People have a higher chance of living when they have others to rely on and responsibilities can be shared. Separate tasks based on skills and level of knowledge. Also, it is easier to defend yourself from threats when you are in a large group. If however you find yourself in a survival situation alone, remember that your brain is your most important tool. Do not give up and do not lose hope. We are survivors, a highly resilient species. We can overcome anything when we set our minds to it. 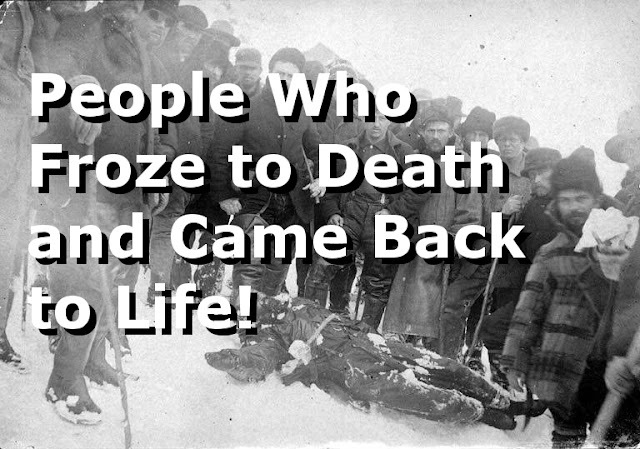 People Who Froze To Death And Came Back To Life! Have you ever imagined being attacked by a bear or maybe even a shark? Well, hopefully you never have to experience that but just in case you ever do come across these wild animals, make sure you know how to properly defend yourself if attacked! 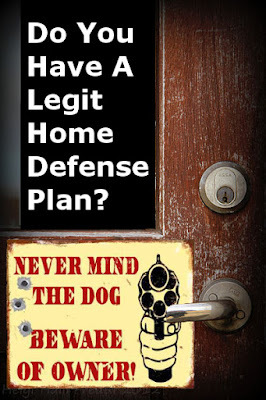 Do You Have A Legit Home Defense Plan? 1. Learn how to fight. This doesn’t mean learn how to fight then go bully people. The goal is to avoid dangerous situations but if you are confronted with a violent individual then it would be nice to know that you can fight. Knowing how to maintain the upper-hand in a physically violent scenario can mean your life. 2. Get a guard dog. Dogs are excellent at alerting home owners to intruders. It is a good idea to get a large dog because they can actually help you in case you need it. Get yourself a good guard dog like a Doberman Pinscher or a German Shepherd. Both are highly trainable and will have your back. Don’t just buy any weapon, make sure you get what fits your situation and most importantly, learn how to use it! What good is it if you buy a gun and don’t even know how to take the safety off? If you choose to buy a firearm, practice with it by going target shooting. 4. Reinforce your doors and windows. This one seems like an obvious tip but you would be surprised how many people fail to properly reinforce their doors and windows. For example, if you have windows or doors that slide sideways, add an extra layer of protection by simply placing a stick in the track. If an intruder gets past the lock, they still would not be able to slide it open. It would give you peace of mind to know that an alarm system would alert you if an intruder was in your house. Getting cameras and making sure that they actually work would also be a plus. If you have an alarm system that alerts an outside company, make sure to only give your security password to those you trust with your life. 6. Build a safe room. Last but not least, if you have the resources and time, build a safe room inside your house for you and your family. Make sure that you stock up with food, water and supplies in case you have to bug in. Not every situation calls for you to bug out. Sometimes the safest course of action would be to stay indoors and build a good defense. 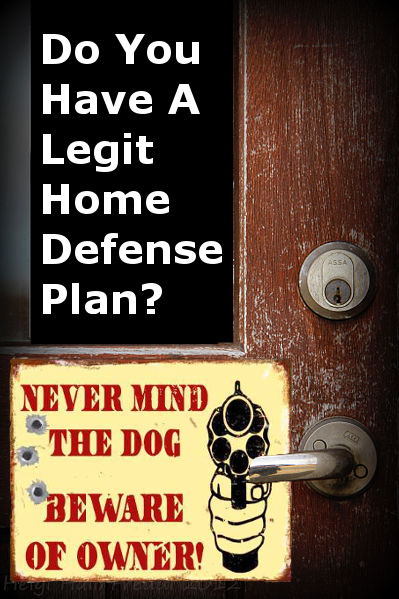 Comment or send us a message if you think you have a good home defense plan! We would appreciate the feedback and any suggestions you may have.